The robots have finished the trash mold and will be pouring a trash cast soon to make the necessary alterations. Will be in our Etsy store soon. 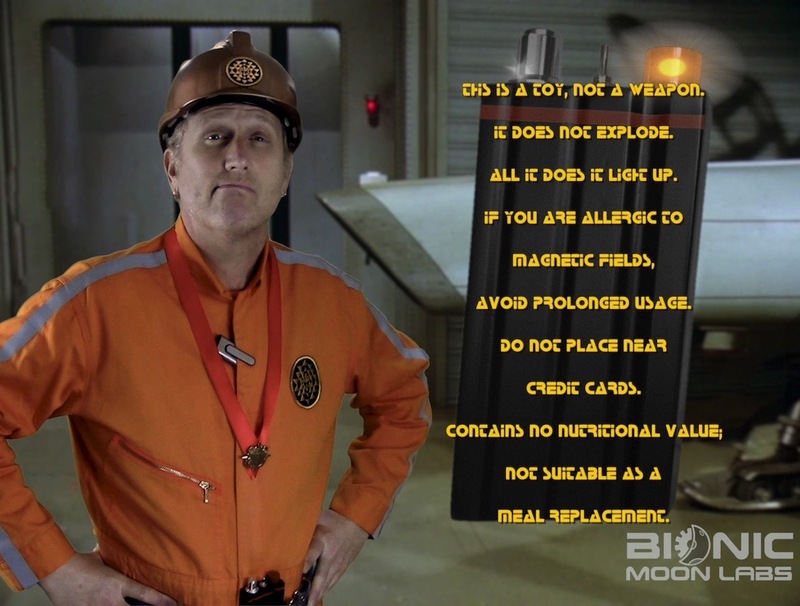 The robots were so excited to finish the Solonite Charges, they helped assemble this brief skit to honor the show. Solonite Charge Skit on our YouTube Channel! 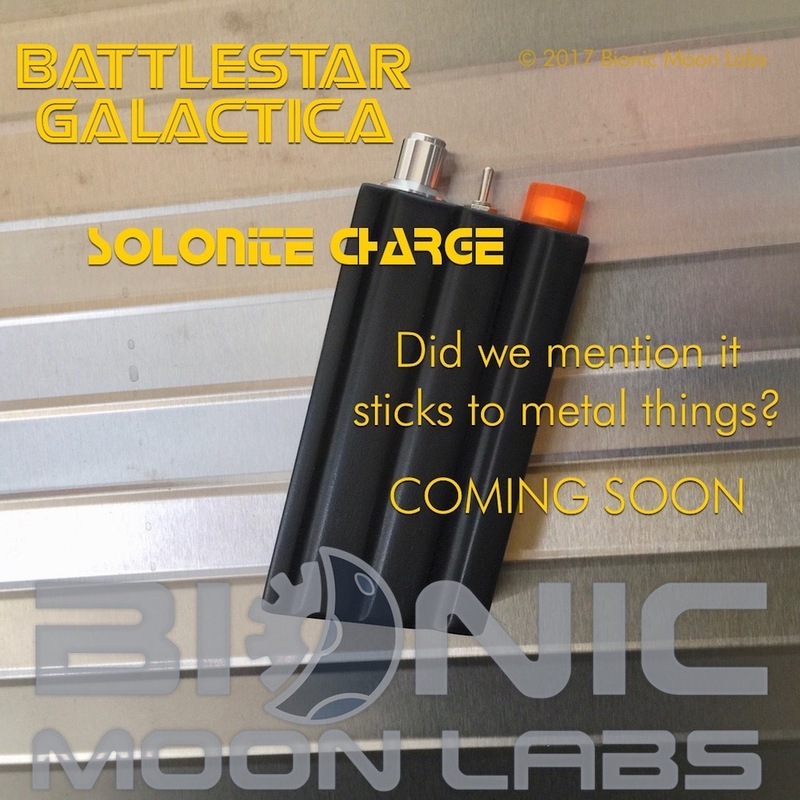 After a long production delay, our Solonite Charges now available. 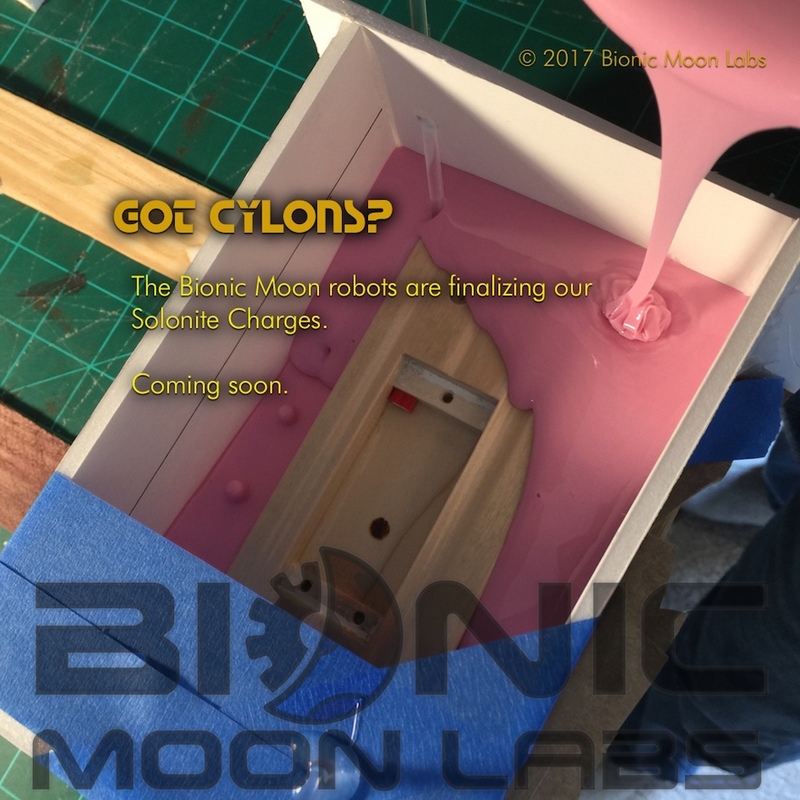 The robots have faced challenges with this one but the Battlestar Galactica Solonite Charge is nearly ready. 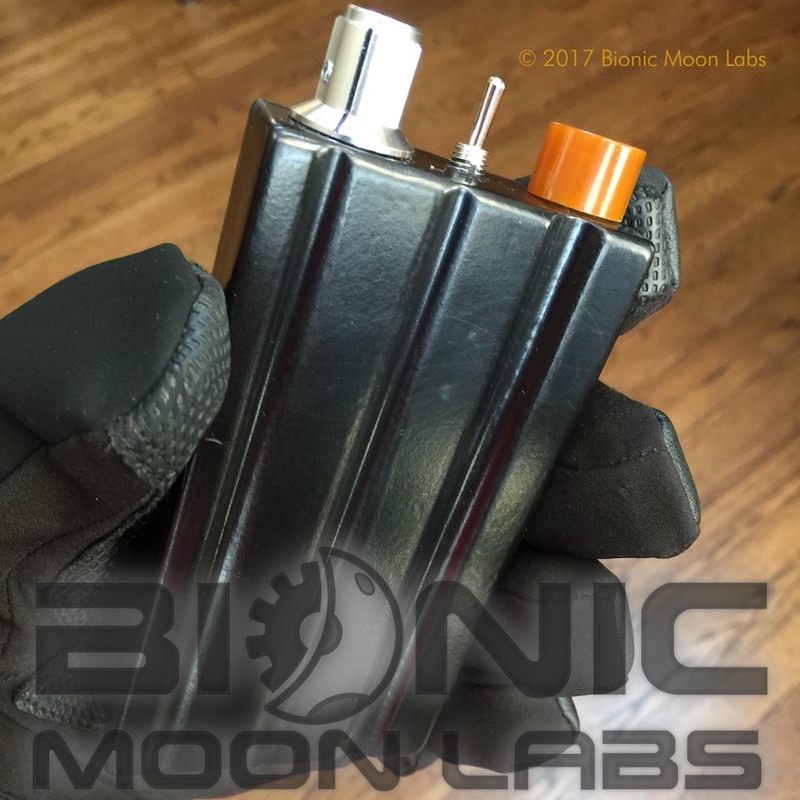 Did we mention that it sticks to ferrous objects like a Cylon petro dump? 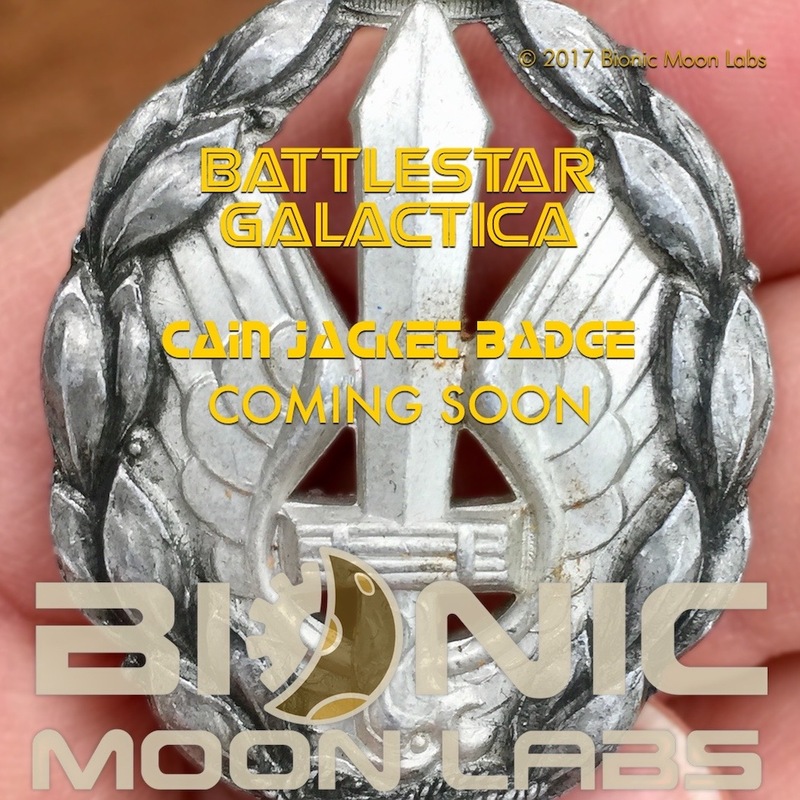 After much research and development, our robots are proud to announce the release of the Battlestar Galactica Distinguished Service Medallion. 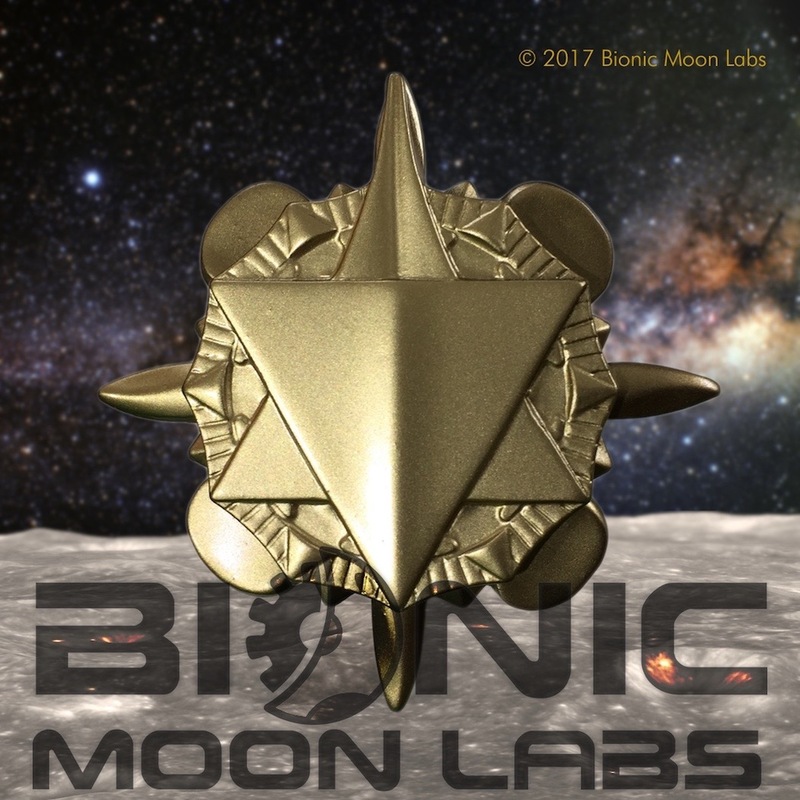 This is the first visually ACCURATE replica of the medallion and includes integrated tie tacks making it ready to wear. One of our robots modeling the first pull of our Solonite Charge. After a few tweaks and a pinstripe of orange, these will be in production and ready for the Colonial assault on Gamoray. Our Sononite Charge is nearly finished. 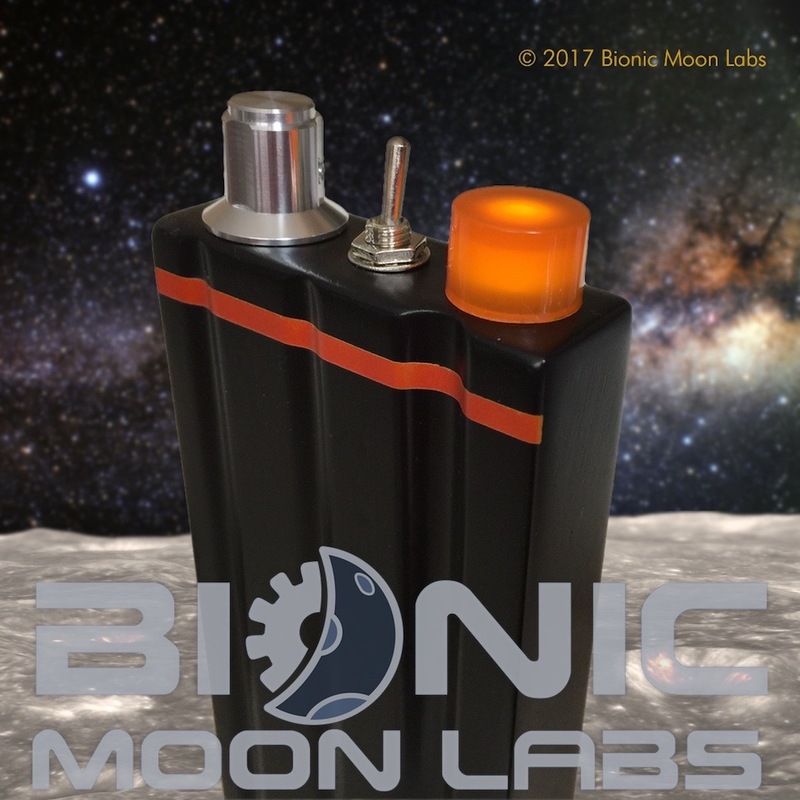 Get ready to light up those Cylon petro dumps! 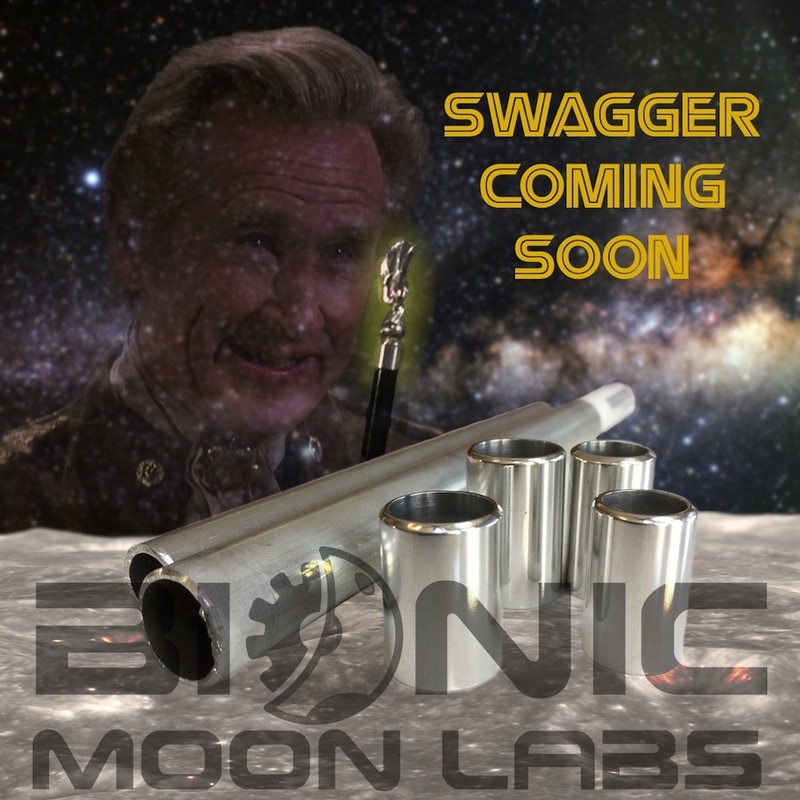 Our store is now open and we have stocked it with our first item… the Swagger Stick. 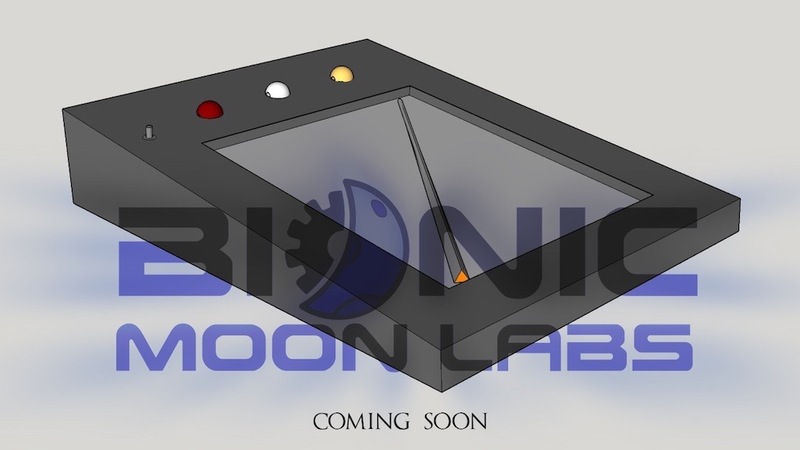 More items will be coming soon as our robots can now focus their attention on building more prop replicas. Everyone could use a little swagger so our robots are busy preparing just what a legendary commander needs to lead the Fleet to Victory! 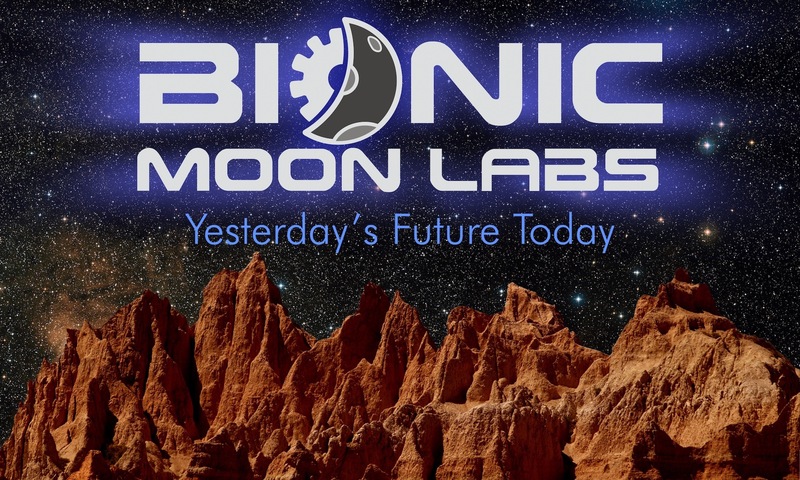 One of the first things needed at Bionic Moon Labs is a logbook to record our adventures. 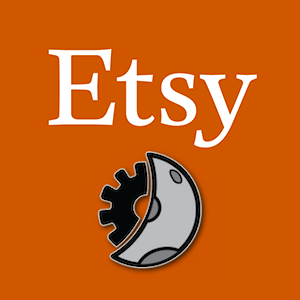 Rest assured, our robots are hard at work fine tuning the design and will soon shift their processors to production mode.